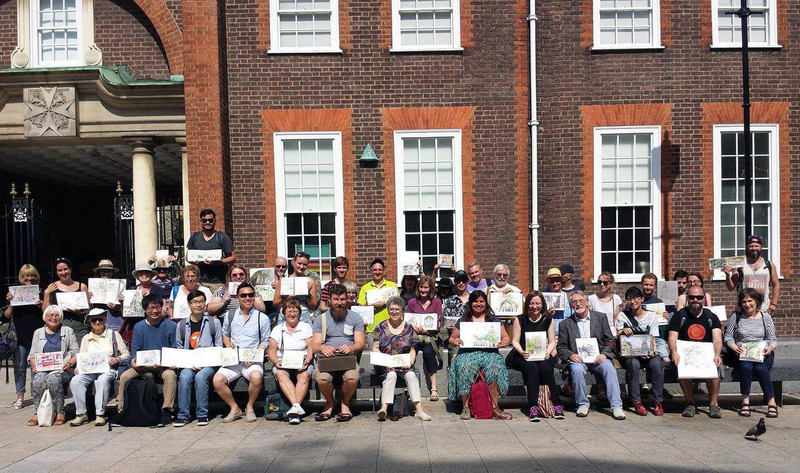 Join us to draw in Hyde Park and Kensington Gardens. 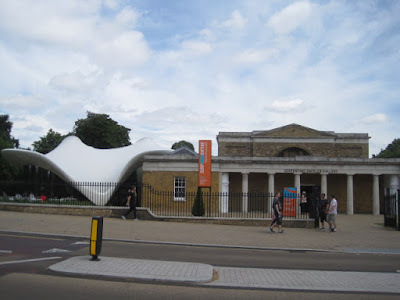 We will meet near the Serpentine Gallery, whose summer pavilion provides an experiment in contemporary architecture, which we could draw. Other sketching options are park views, the boating lake, the Italian Gardens, summer visitors, and sculptures old and new. 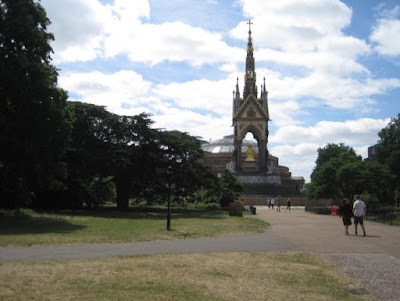 The Albert Memorial and Royal Albert Hall are nearby. 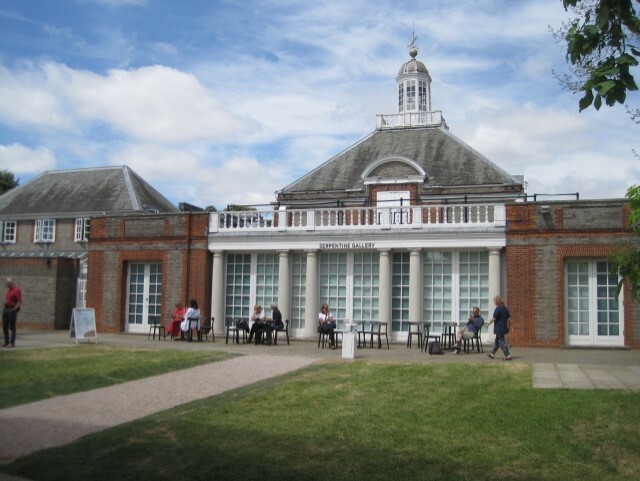 11am: Meet at the Serpentine Gallery (see photograph) near the new pavilion (or just inside the gallery if wet). 1pm: Meet at the same place to look at drawings done so far. 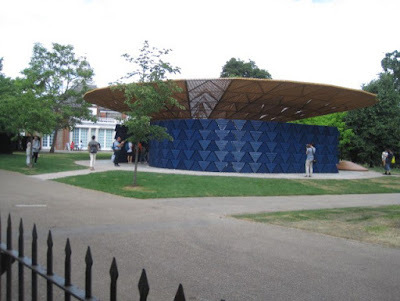 3.30pm: Meet again between the Serpentine Gallery and the new pavilion to look at drawings done, and take group photographs. 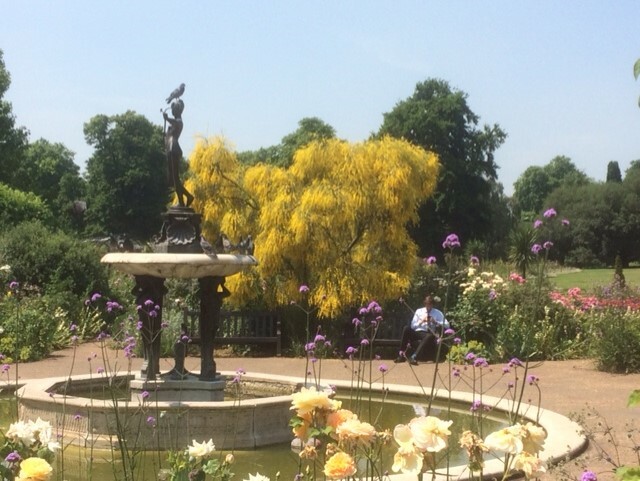 The park provides many views of its gardens, trees, fountains, buildings and sculptures, from the work of Henry Moore to the Peter Pan statue. Each year the Serpentine Galleries commission a summer pavilion by a contemporary architect – this year the architect is Frances Kere, from Burkina Faso. 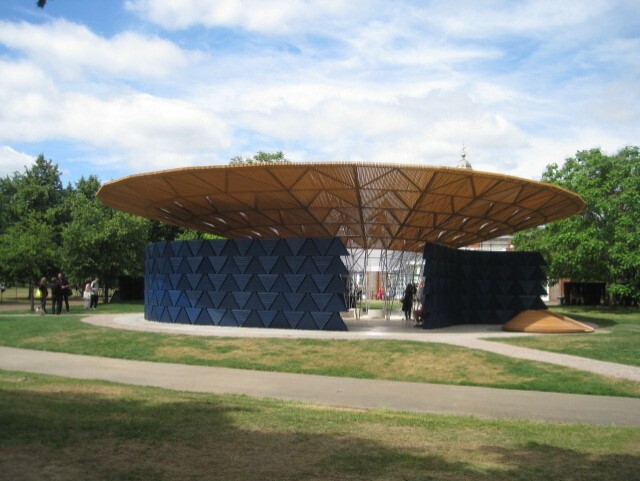 The pavilion will be in the park until 8 October 2017. The nearby Serpentine Gallery is free of charge and is currently hosting an exhibition by Grayson Perry – The most popular art exhibition ever. A second gallery, the Serpentine Sackler Gallery is on the other side of the Serpentine Bridge. 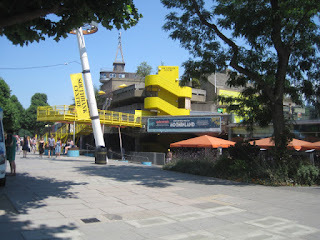 It has an extension by Zaha Hadid Architects, and hosts free contemporary art exhibitions (and an expensive restaurant). 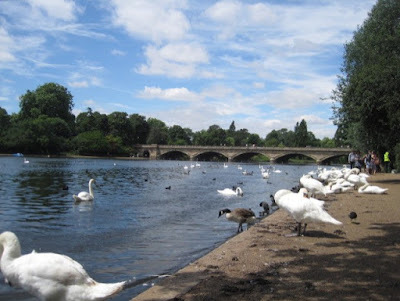 The Serpentine Bridge marks the boundary between Kensington Gardens and Hyde Park, and between the Serpentine Lake and the Long Water. Sketch the activities in the parks: people strolling, jogging, roller skating, riding, boating. The area near the Serpentine boat houses is good for this. 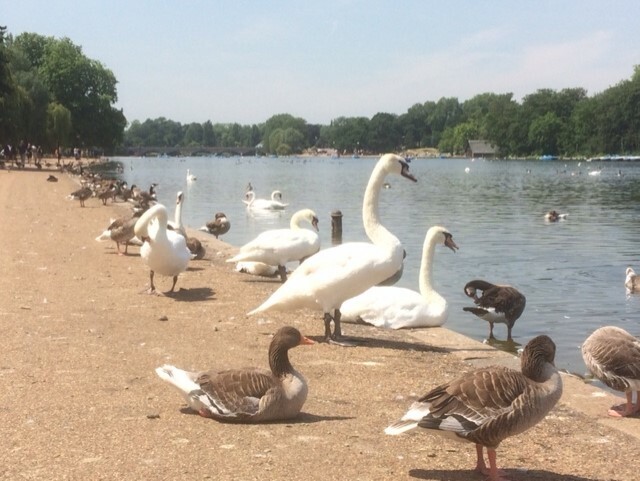 There is plenty of bird life, particularly near the water. The Italian Gardens on the north side of the park provide a contrast to the informal landscaping of the park. The Albert Memorial and Royal Albert Hall are nearby. There are many other scenes and activities in the parks and maps are displayed at the entrances to help you find them. The nearest underground station to our meeting point is High Street Kensington. There are shops and cafes around here, plus a café near the Serpentine (often crowded in summer) and refreshment kiosks in the park. 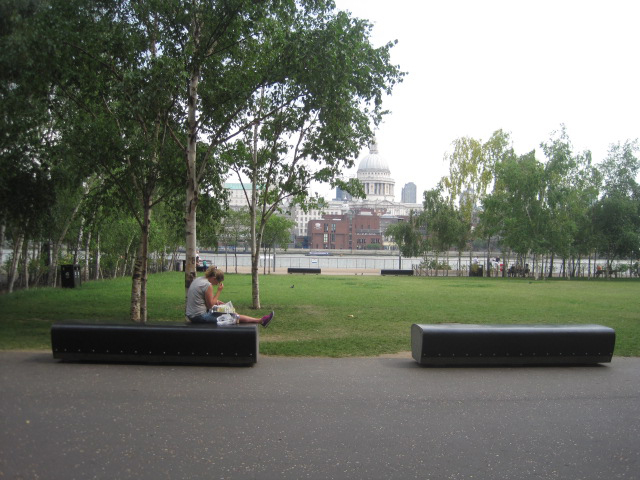 If the weather is wet, we could draw inside the Serpentine Galleries. The big trees in the park offer some shelter. 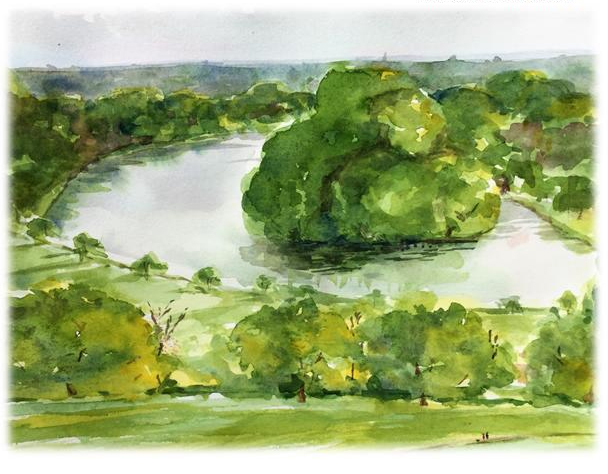 Join us for some summer evening sketching, meeting from 6pm to 8pm. 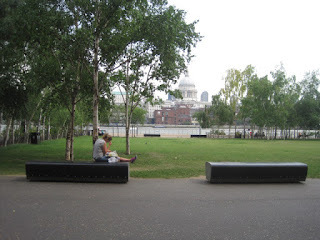 Use the opportunity of light summer evenings to draw London’s riverside. 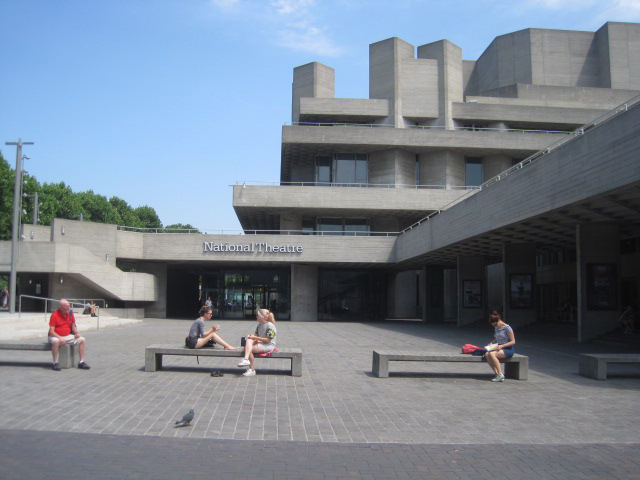 We will take advantage of London’s unrivalled arts and entertainment scene, along the South Bank. 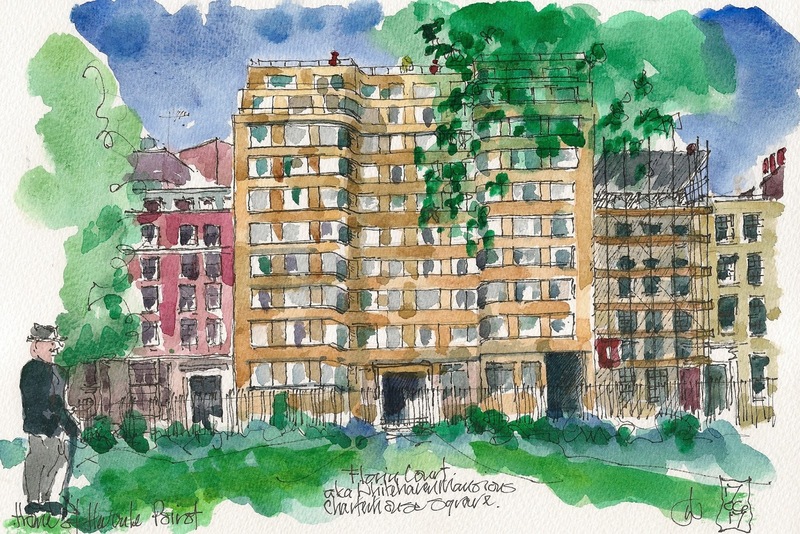 These will be busy locations – make the most of the opportunity for quick sketches of people and performances. All events are free, no need to book, just turn up with your art kit. 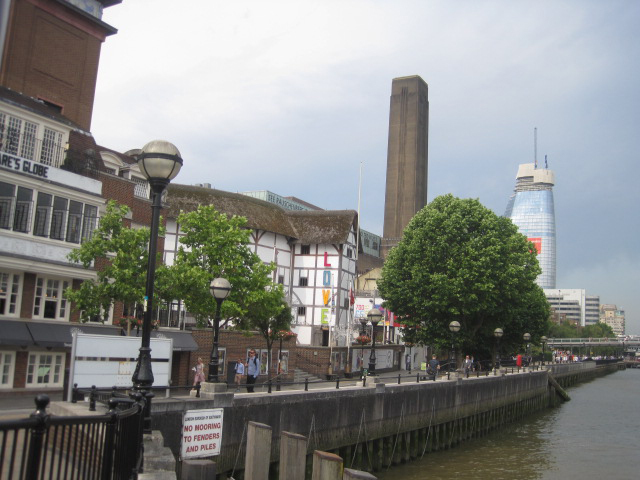 On the South Bank near Tate Modern we can draw city buildings, the Globe Theatre, the Millennium Bridge, passers-by, buskers, and the boats on the river. Meet at 6pm to start and 8pm to finish by the outdoor seating by the riverside doors of City Hall (see photograph below). 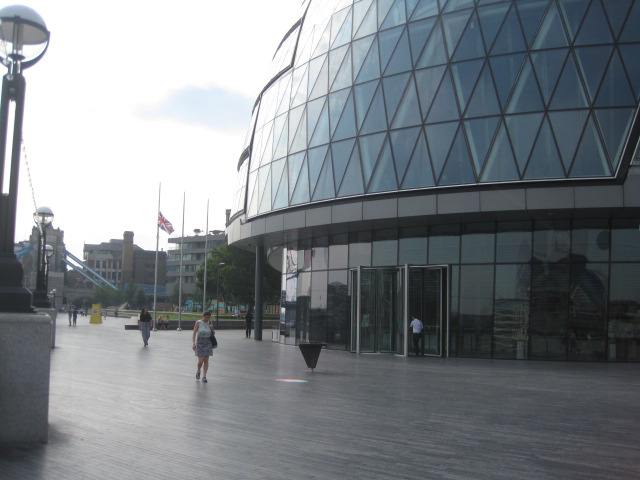 The Scoop is an open air performance area near City Hall, on the South Bank, between London Bridge and Tower Bridge. There is a free performance at the Scoop: The Odyssey (this is in three parts: 6pm, 7.30pm, 9pm, and is running from 9 August to 3 September). We can draw the performance, the audience and passers-by, the Tower of London across the river, Tower Bridge, boats including HMS Belfast, or the modern City skyline. 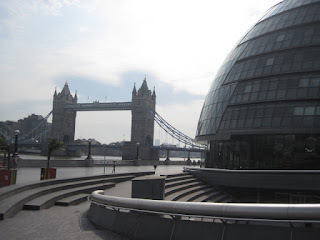 If it rains, there is some shelter at City Hall and nearby bars, or we could draw inside Hays Galleria. 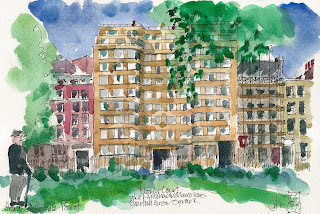 We met on Saturday 17 June to draw at Charterhouse Square and in neighbouring Clerkenwell. Here is a gallery of photographs of the day taken by Gafung Wong. Wow! 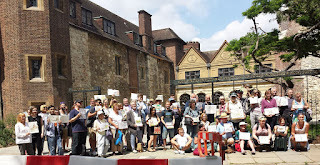 What a wonderful day, sun, heat, over 60 sketchers and I sensed, Hercule Poirot too. Add a Royal Flypast - perfection. Florin Court was my chosen challenge aka Whitehaven mansions the Belgian detective's fictional home. 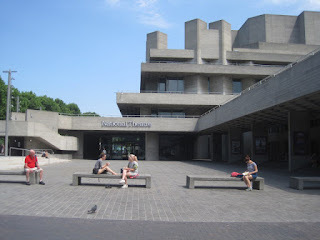 Designed by Guy Morgan and partners, it was opened in 1936. 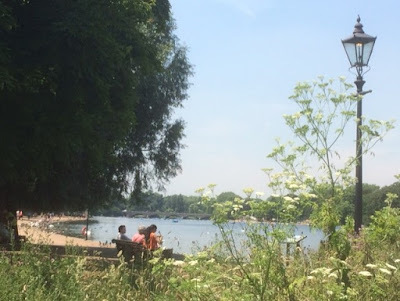 Join us for a day of drawing by the river in beautiful Richmond-upon-Thames. Richmond is one of the greenest parts of London, offering parks, gardens and natural open space. The River Thames winds through and you can draw it’s boats and bridges. There are interesting little streets, and buildings old and new. You can choose to sketch the busy market area, or find a quieter corner. 11am: We meet at the Hollyhock Café in the Terrace Gardens between Petersham Road and Richmond Hill. You can take the 65 bus route from either Richmond Station (alight Robin’s Court stop) or Kingston (alight Nightingale Road stop. 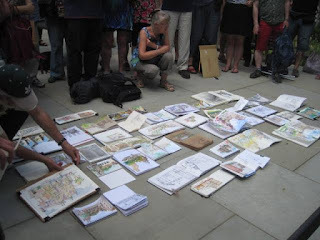 1pm: Meet on The Richmond Riverside in front of the steps to Heron Square (if wet in the archway to the Square) to share work. 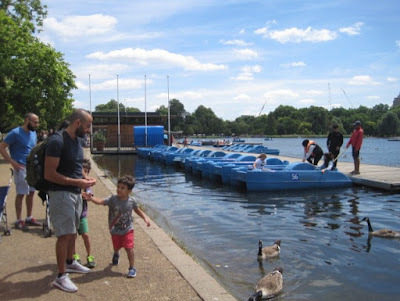 In the afternoon there is the option to draw from a boat on the river. If you want to do this, you need to pre-book – see under ‘Transport’ below. 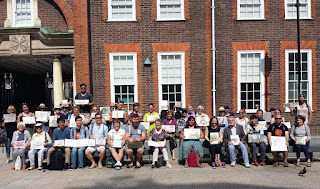 3.30pm: Meet in the south corner of Richmond Green by the two telephone boxes between The Cricketers and Princes Head pubs to review the afternoon’s drawings and take photographs. 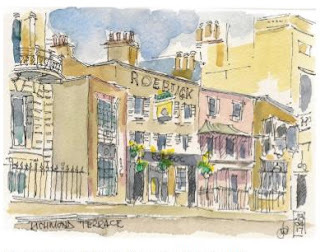 Then, for those who wish, we can go to the One Kew Road bar opposite Richmond station for conviviality and chat. 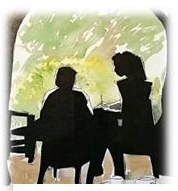 We meet at the Hollyhock Café in the Terrace Gardens between Petersham Road and Richmond Hill. Behind are the residences of the like of Jerry Hall, Mick Jagger and Sir John Mills; great buildings for those who prefer structures to country views. Then wander down the Hill past boutique shops or through the side streets behind . . . there’s lots to draw. We’ll meet at 1 pm on The Richmond Riverside in front of the steps to Heron Square (if wet in the archway to the Square) to share work. There is a huge variety of eateries in Richmond including in the Saturday Market in the Square. 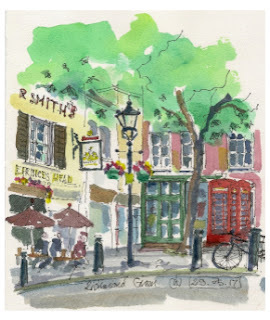 In the afternoon sketching in Richmond town with its numerous alleyways and Church, along the towpath or on The Green meeting at 3:30pm in the south corner of Richmond Green by the two telephone boxes between The Cricketers and Princes Head pubs to review the afternoon’s productivity. Thence for those who wish to the One Kew Road bar opposite Richmond Station for conviviality and chat. 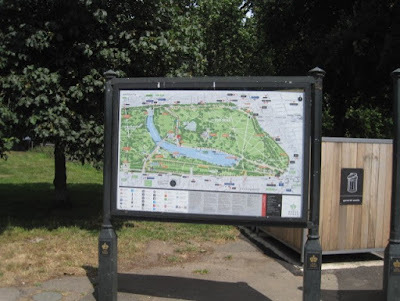 The nearest station is Richmond Station, on the District line and mainline railways. 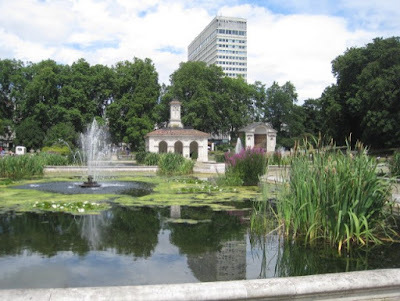 For those arriving after 11 am or who prefer not to climb through the Terrace Gardens, the 371 bus from Richmond Station (or from Kingston) to the American University stop in Queens Road will deliver you to the south end of the Terrace Gardens. Once again there is an option in the afternoon to paint from a boat moored on The River opposite Quinlan Terry’s Richmond Riverside development. This will be provided by Mark Edwards, Riverside Boathouses – who built The Gloriana – and is at a cost of £6 per head. If you wish to join this please email John Webb (jwebbpilot@gmail.com) before Thursday 6th July.